Wondering what the process for registering a company in Zimbabwe is like? 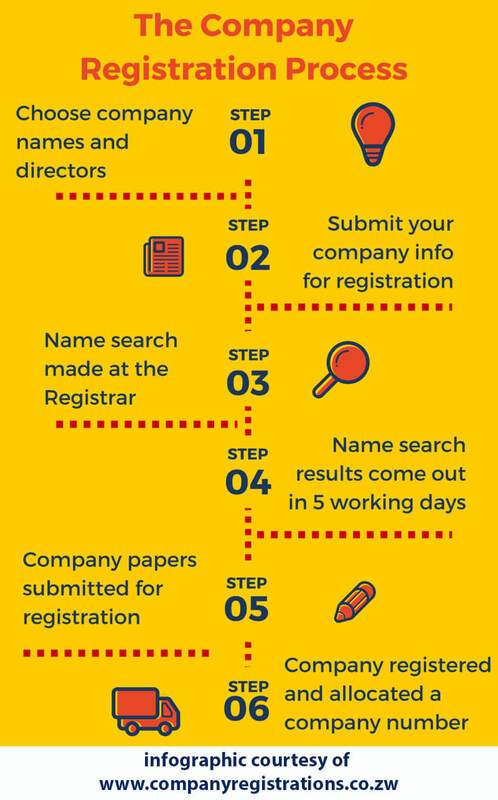 This infographic will give you a summarized view of the process right up to the point when your company papers are officially registered. Ready to register and start your business?